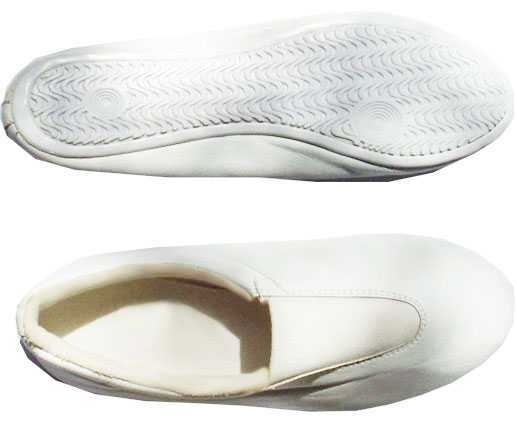 Gymnastic Shoes made of White Leather with Split Rubber Sole for Tumbling, Gymnastics or Balance Beam. Our shoes are made of white genuine leather. Our gymnastic shoes are ultra-light. A girls size 4 weighs only 4-1/2 ounces! Whether you need a shoe for balance beam, tumbling or trampoline our gymnastic shoes will surpass your recreation or competitive gymnastic needs. 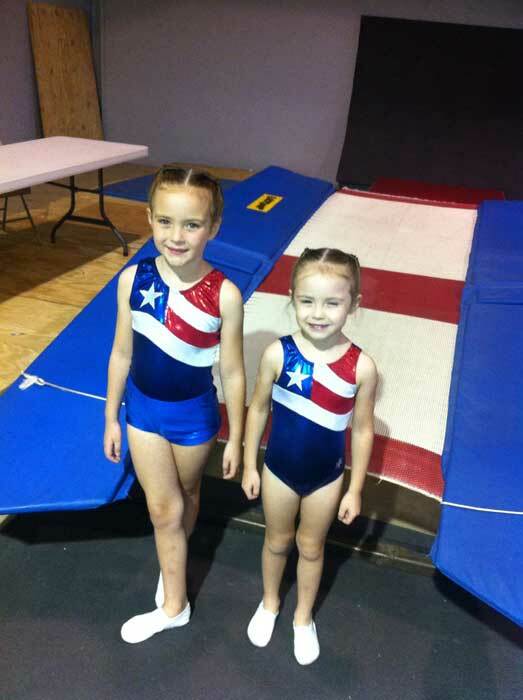 beginner through the elite gymnasts, tumblers and trampolinists. 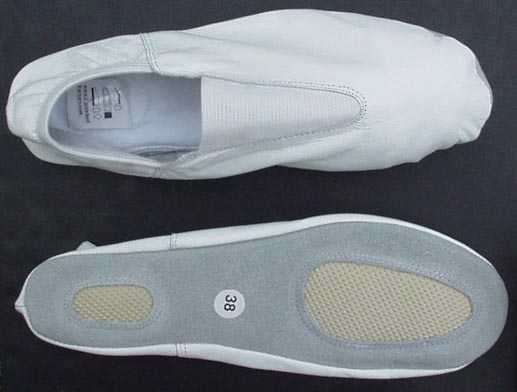 Above photo shows leather top and sole of white gymnastic shoes. 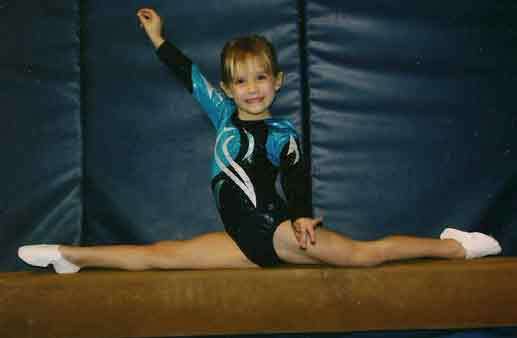 5 year old Sydney wearing Cartwheel Factory's leather gymnastic shoes. Upper is made of genuine leather and fits snugly to the foot with a triangular elastic throat. The shoe sole has foam padding inside and high quality, knurled, flexible 3mm rubber on the bottom for positive traction when vaulting or tumbling. White only. Please contact us if you're shipping to Europe. If shoe size is not listed, it's Out of Stock. Mesh White with purple accent gymnastic shoes. Upper is made of mesh and fits snugly to the foot with a triangular elastic throat. The shoe sole has foam padding inside and high quality, knurled, flexible 3mm rubber on the bottom for positive traction when vaulting or tumbling. White or blue with white or purple strip. can be used for tumbling and vaulting. 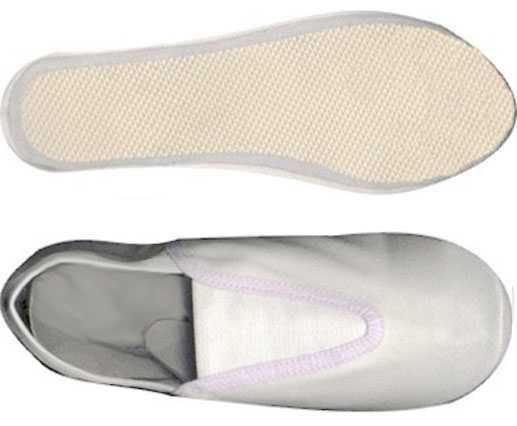 Upper is made of durable white washable canvas and fits snugly to the foot with a triangular elastic throat. 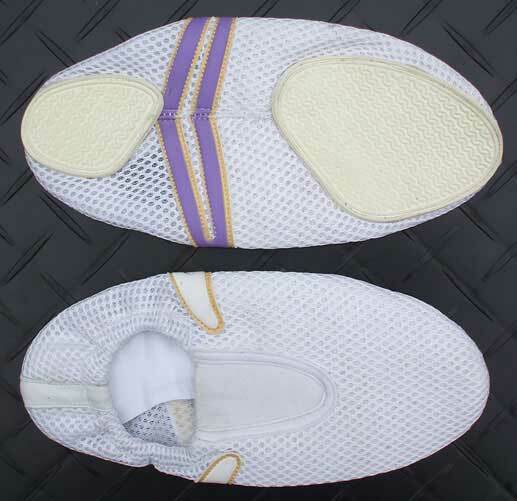 The shoe sole has foam padding inside and high quality, knurled, flexible rubber on the bottom for positive traction when vaulting, trampoline or tumbling. White only. Upper is made of real leather and fits snugly to the foot with a triangular elastic throat. The shoe sole has foam padding inside and high quality, knurled, flexible 3mm rubber on the bottom for positive traction when vaulting or tumbling. White only. 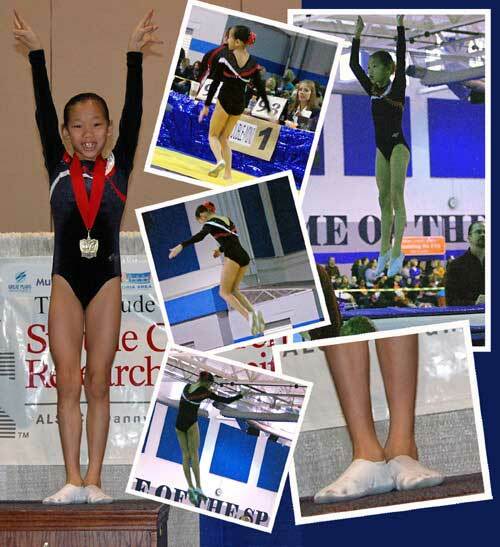 Gymnastic judges may deduct points for wearing purple gymnastic shoes. This color shoe may be more appropriate for practice gymnastic training. Upper is made of real leather and fits snugly to the foot with a triangular elastic throat. The shoe sole has foam padding inside and high quality, knurled, flexible 3mm rubber on the bottom for positive traction when vaulting or tumbling. 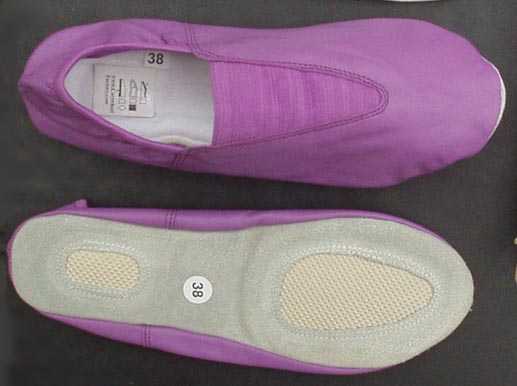 PURPLE Gymnastic Shoes. Maybe you'll be the Photo of the Week! 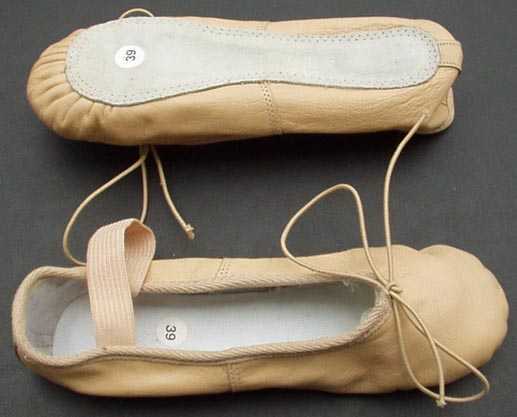 Used as ballet shoe or dance shoe. Upper is made of durable pinkish leather and fits snugly to the foot with an oval throat. The shoe sole has thin toe rubber padding inside, high quality leather sole with 3/4" wide elastic ankle-snug and functional bow draw string. Note: Shoes run a little small so order 1/2 size larger than street size. SHIPS IN 2 DAYS. Please also see the International Shoe Size Chart Notes below. M= Men's W= Women's Sizes. Other systems are for either gender. NOT SURE WHAT SHOE SIZE? Then kindly measure the foot and follow the below Boys and Girls Conversion Chart.